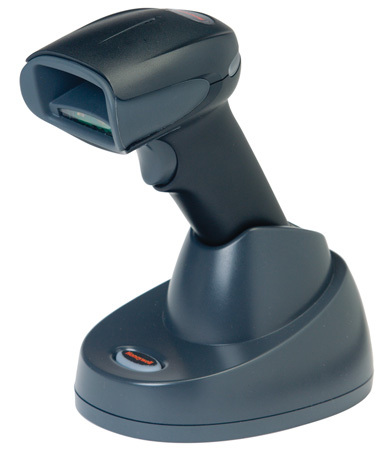 The Xenon 1902g is the answer to requirements of a powerful area imager for both 1D and 2D barcodes, delivering top performing wireless scanning. Thanks to its Adaptus Imaging Technology 6.0, its various optics (HD, SR, ER) nestled in a robust housing guarantee not only optimal scanning performance for every application, but also very high mobility via Bluetooth 2.1. With this sixth generation model, Honeywell offers a robust area imager which is ideally suited for smooth performance in tough surroundings, such as retail, warehouse, production or logistics. Its optimised sensor reads poorly printed or damaged barcodes particularly well; it can also read information directly from monitors or cell phones quickly and efficiently. Thanks to its imager technology, there is no need for movable mirror optics, components have been reduced to a minimum, and its casing is particularly robust. It even survives multiple impacts on concrete thanks to its high durability rating. Long-operating battery time guarantees the user high flexibility and simple handling for uninterrupted use. For professional data transmission, rely on the powerful range of up to 10m and multiple variations with docking station or access-point. For demanding and sensitive usage in healthcare and laboratories, you can also order the Xenon 1902g with optional disinfectant-ready housing. Its surface is capable of withstanding harsh cleansing agents, making its personnel and patient usage especially safe. For different, specific needs in an extended application range, you can get a version that even reads colour barcodes. It goes without saying that all models are easily connectable to existing infrastructure, thanks to the integrated multi-interface. Image modification software offers additional processing functions for high quality digital images, such as trimming, brightening, rotating, improving sharpness and much more. Additional intelligent software features optimise data interpretation and transfer, thereby supporting you in its integration into existing systems.